This is my number one go-to weeknight meal for when I really don't feel like cooking. 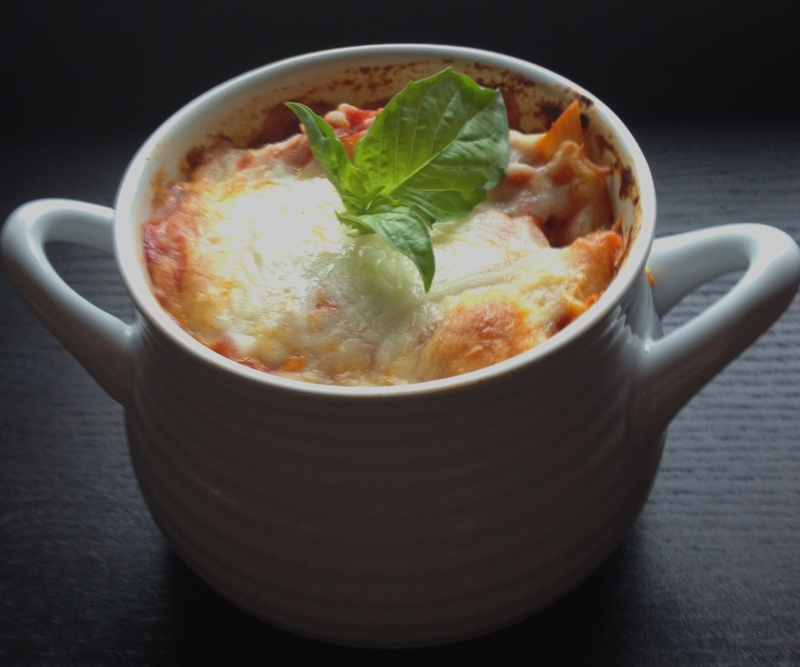 I make this in individual baking dishes so that it can be customized to each person's taste. The recipe below is for a single serving, but can be multiplied to accommodate any number of servings. Bring a pan of salted water to a boil and add pasta. Cook pasta at a rolling boil for approximately half the time recommended on the package (usually ~5 minutes). While pasta is cooking combine pasta sauce, spices, salt and pepper, and additional ingredients in an individual-sized, oven-safe casserole dish. Drain pasta and combine with sauce mixture. Top with cheese and a sprinkle of salt and bake at 350 for 30 minutes.